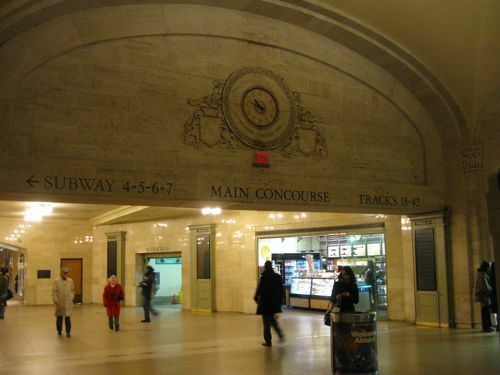 The Jane Jacobs in all of us will point to the low-ceilings and poor layout, the ugly stepchild of McKim, Mead & White’s glorious station, as the reason for the confusion Penn causes in visitors new and old alike. But Turner says the real problem, and potential solution, lies with the signage. While some of the signs work, the problem is the whole of the station, or lack thereof. The main issue, according to Turner, is that the busiest station in the country must serve three masters, Amtrak, New Jersey Transit, and the MTA (both LIRR and subways). We actually chuckled when David Gibson, principal of design firm Two Twelve, pointed out in the video above, “Here we are, we’re at the intersection of three sign worlds.” Could you imagine facing the same problem at busy intersection? Just as signs can create a problem, they can also fix them. As Turner points out in her third installment today, signs are already helping to take the confusion and congestion out of London’s Underground—and the city in general—by directing people to stay above ground and walk, with the help of some new signs, of course. Granted Grand Central Terminal does not face the hodge podge of constraints Penn Station does, nor was it decimated by Robert Moses, but during a stroll through last night, it was clear to us how relatively easy it can be to get this right. 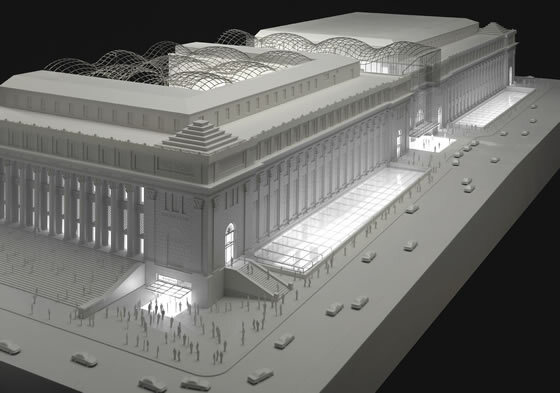 Given how long it’s taken to get Moynihan Station off the ground, and the obstinacy of transit bureaucracies to begin with, we’d be surprised if anything gets done before the arrival of the new station. Let’s just hope they heed this warning and get it right next time.